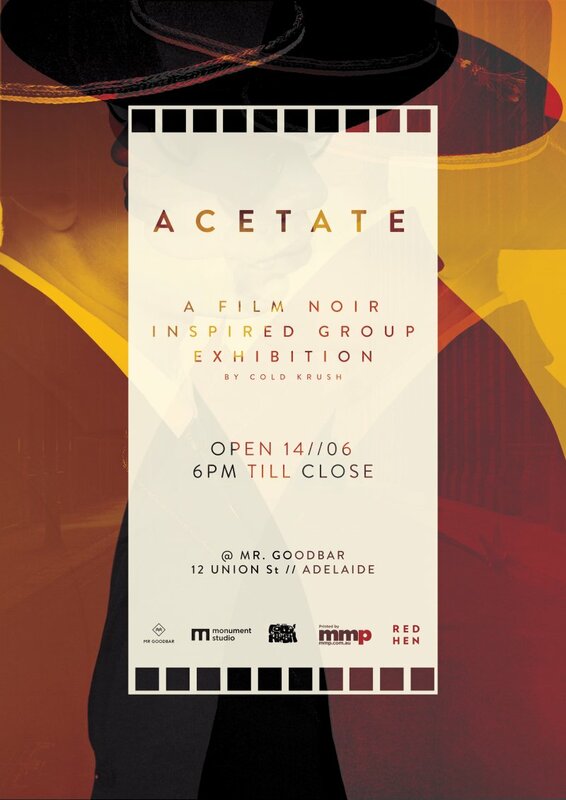 Cold Krush Store/Gallery presents 'ACETATE' - A Film Noir inspired Art Exhibition. A collection of new works contributed by a select group of local and interstate artists, exploring the classic period of Film Noir - think stylish Hollywood crime drama, with a focus on cynical and sexual motivations, with a touch of pessimism, fatalism and menace. Opening night to take place at Mr Goodbar, 12 Union Street, Adelaide.